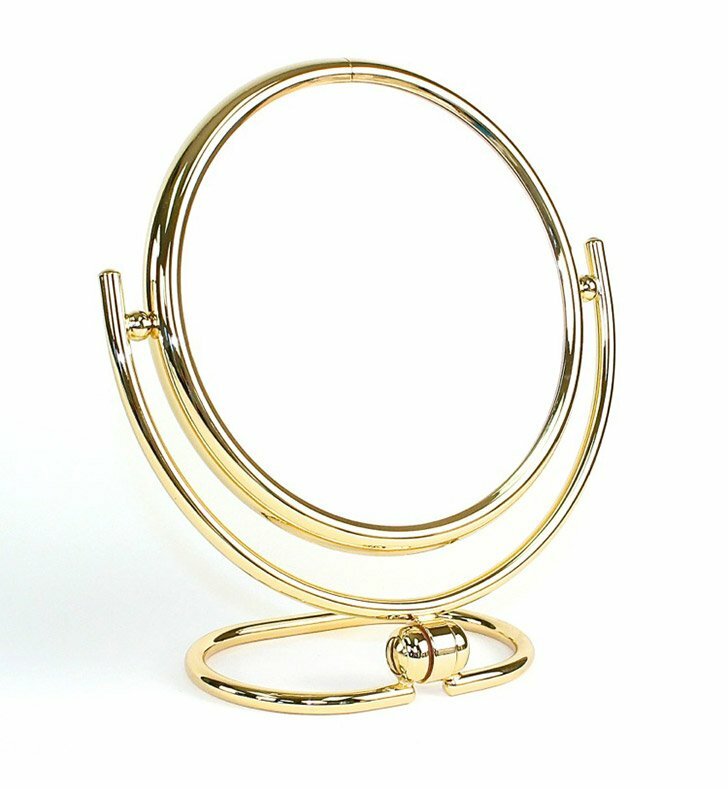 A traditional free stand makeup mirror made in high-quality brass and coated with chrome or gold. 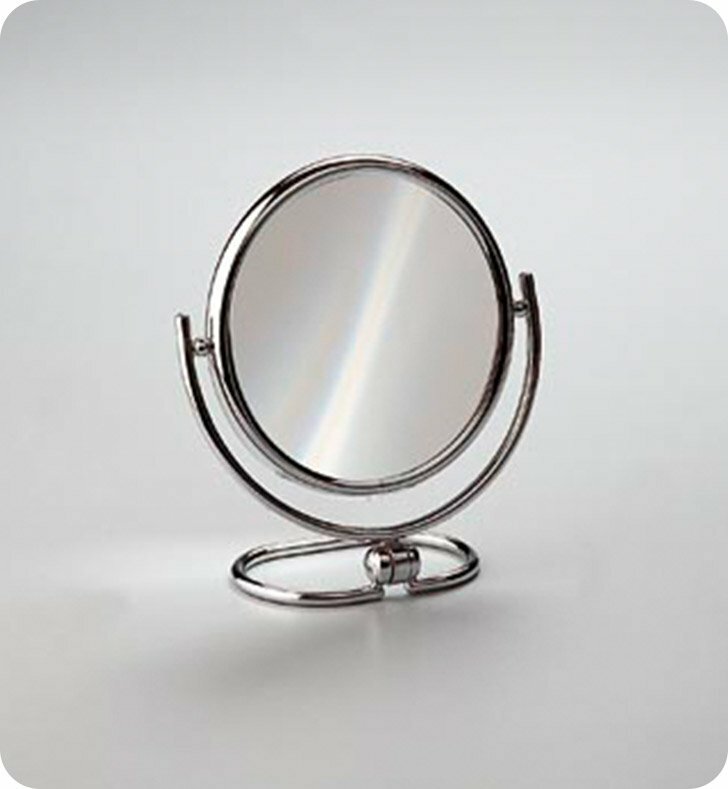 This magnifying mirror from the Windisch Mirror Collection collection is a contemporary-style makeup magnifying mirror. Imported from and manufactured in Spain. Is great for your decorator master bathroom. 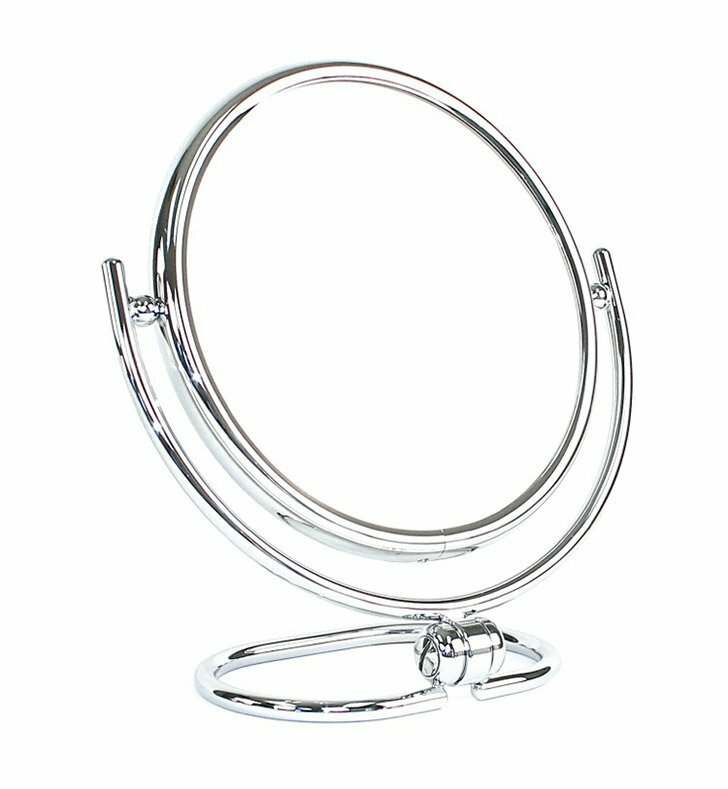 Dimensions: W 7 1/2" x H 8 3/4"